So had Frankenstein come up before those talks at all, or was it a product of those conversations? Su: Internally we had identified what we would do outside of Austen, because we had been known for that exclusively up until this project, so we knew that as a production entity we couldn’t just rely on Austen because she only has six books. So we had to look for other ways to adapt other novels, and something like this was ideal because it’s shorter, a completely different genre, and it can really stretch what we do. We can show that what we do isn’t just enclosed to the Austen universe, it can work for mass audiences, STEM audiences, etc. Speaking of STEM audiences, what was the motivation behind engaging with STEM in adapting this novel? Anna Lore (Victoria Frankenstein): It’s like Lon said—it’s the simplest of innovations, just changing a gender, but it creates this whole fresh look that no one’s done before. Su: And it speaks to the history of women being taken seriously in STEM—we know it’s better than it was years ago, but to just be able to touch on that I think is a really cool thing. 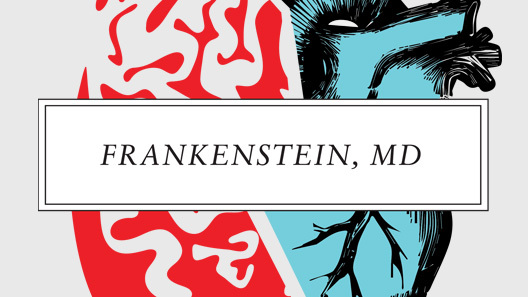 Lore: What I love about Frankenstein as a gender-bending character is that Mary Shelley wrote it on a dare to a bunch of dudes that she could write a better horror novel than they could. And so I think it’s a perfect choice to do that. As for choices, what made Anna the right choice for this role? Su: Well, she just showed how she’s so connected to it. What Anna brings to the character is a level of maturity to the role of a young Frankenstein, because we’re kind of aged down the role, and just the way she carries herself—as we’ve heard—is just disturbingly charismatic. Was that the phrase? [Laughter] Right? Lore: Love that. It’s going on my resume. Su: But it’s very, very fitting for what you’d look for in a modern Frankenstein, and in a modern YouTube personality. It was a very easy choice to go with her: we saw a lot of very capable young actresses, and we all gravitated toward her performance. Lore: I would say that I came in fairly ignorant of it: I obviously had heard of Lizzie Bennet, and I knew of Pemberley Digital, and before I sign onto anything I do my research, so I looked it up a bunch. And I really like the way they do things, and I think it’s a fun platform that you usually don’t get to experience as an actor. As for science vlogs, I’ve definitely watched more than I was watching before, and I don’t know why I wasn’t watching them before because I discovered Joe’s and I was like “This is great!” It’s an amazing platform to play with, and it’s a character that I didn’t think that I would get to play for a long time, if ever. Like, it’s Doctor Frankenstein—it’s cool, it’s a great opportunity. Obviously, this is a very different series in terms of tone from the Austen, but you’re still using the vlog format and engaging with humor; how familiar will this series be in terms of tone for those who are fans of the existing literary adaptations? Su: Tonally, because of the subject matter, it’s a little bit of a shift. But what I think you’ll see, especially in the beginning before she resurrects the monster, is that kind of familiar, quirky, educational science in the show, but with the story and narrative that’s driving toward something, and then blending in our kind of Pemberley light-hearted comedy. All of our shows have done this, even Lizzie has done this—when you see the show, you’ll understand what I mean. That light-heartedness is still there—it’s a darker style of humor, with a bit more of a macabre feeling due to the subject matter. Lore: It’s a feel-good film! Lore: A hint of Rom-com! One of the challenges with the vlog format is developing supporting characters—what are some of the options you’re exploring for expanding this world beyond Victoria? Su: I think we’re going to grow organically. With the cast, it’s a short series so we don’t have this long runway like Lizzie did where we know “Oh, that character’s this now, and then in 12 months we have to do this with that character.” So we don’t have to build that out. And in this case too, not all characters are going to be in good places at the end of this thing, so we’re going to find opportunities to make it entertaining for the audience, is what I’ll say. I don’t even know how to describe it without spoilers. Lore: I think no matter how amazing the first ten minutes is, there’s a time constraint on it. You kind of need a little bit extra to really get across “These are our characters, this is the story we’re going to tell.” I think you just always need a little more time. From your perspective, Anna, do you know where your character’s journey is heading (beyond the obvious) as you head into this process? Su: Are you gonna resurrect a monster? Su: Yes, I think we can do that. As you know, we haven’t shot it all, and we haven’t written it all. And that’s by design so we can react to the audience. The good thing’s that when we get to the October content, when we start writing it we’ll have episodes out, and we can tweak and adjust and say “Let’s do that!” So we don’t necessarily know exactly what she’s going to end up with. We know the big stuff—we know how we’re going to end it. But we’re flexible. There has always been some intense expectations for followups to The Lizzie Bennet Diaries: do you see this as a clean break from the company’s work adapting Austen, or do you see this as a natural extension of Pemberley Digital’s existing goals? Su: It’s kind of in between that. What you’re seeing is that we’re not just banking on the Pemberley audience—it’s the PBS audience, it’s this giant STEM audience. So to say that this series is going to maintain Pemberley’s 90% female demo and only that, that’s ridiculous. No one’s thinking that. So we’re going to see a shift in the audience; how that plays out, we’re open minded to it. We’re storytellers, and we want people to come to our shows because they’re good series and they enjoy them. And if it’s not for them, that’s okay.